The record book was edited heavily after an action-packed 2015 season. See below for a list of all of the changes to the career EWL leaders. – Joey extended his career record for games played with 100. – Bob increased his career batting average record from .577 to .583. – Bob surpassed Blose as the career SLG % leader. Blose had the record at 1.424 coming into this year, and Bob is currently slugging 1.454 for his career. – Joey extended his career record for at-bats with 528. – Joey surpassed Morrison as the career leader in runs scored. Morrison had the record with 131 coming into this season, and Joey now holds the record with 167. – Joey surpassed Morrison as the career leader in hits. Morrison had the record with 201 coming into the season, and Joey now holds the record with 254. – Dinger surpassed Morrison as the career leader in singles. Morrison had the record of 98 coming into this season, and Dinger now holds the record with 103. – Joey surpassed Blose as the career leader in doubles. Blose had the record at 45 coming into this season, and Joey now holds the record with 67. – Joey surpassed Anthony as the career leader in triples. Anthony had the record at 20 coming into this season, and Joey now holds the record with 21. – Morrison extended his career record for home runs with 94. He had 73 coming into this season. – Joey extended his career record for RBI with 183. – Joey extended his career record for TB with 609. – Charlie extended his career record for batting strikeouts with 22. – Mike and Morrison tied Ivan with one career IBB. – Joey extended his career record for LOB (left on base) with 130. – Joey extended his career record for total plate appearances with 530. – Morrison extended his career record for game-winning RBI with 24. – Steve (Ham Slams) surpassed Morrison as the career leader for putouts. Morrison had the record at 256 coming into this season, and Steve now holds the record with 336. – Charlie surpassed Guthrie as the career leader for pitching appearances. Guthrie had the record of 36 coming into the season, and Charlie now holds the record with 45. – Guthrie extended his career record for pitching wins with 28. – Charlie extended his career record for pitching losses with 26. – Blose extended his career record for saves with 8. – Dinger surpassed Guthrie as the career leader for innings pitched. Guthrie had the record of 192.5 coming into this season, and Dinger now holds the record with 223. – Charlie extended his career record for hits allowed with 369. – Charlie extended his career record for earned runs with 247. – Guthrie extended his career record for pitching strikeouts with 20. – Charlie surpassed Dinger as the career leader for home runs allowed. Dinger had the record with 86 coming into this season, and Charlie now holds the record with 119. – Dinger extended his career record for batters faced with 743. – Guthrie and Josh tied the career record for intentional walks, with one, previously set by Steve (Ham Slams). – Charlie surpassed Guthrie as the career leader for games started. Guthrie had the record of 35 coming into this season, and Charlie now holds the record with 44. – Guthrie extended his career record for complete games with 34. Tom had 25 of of Questionable Outfit’s record 111 home runs. Kimble and Questionable Outfit had a historically productive year on offense, breaking multiple team single-season records, many of them their own that were previously set last season. Questionable Outfit broke the most records this season, but all three other teams also tied or set new records in 2015. See the entire list below. – Questionable Outfit broke the team SLG % by slugging 1.432 in 2015. The previous record was 1.256 by Questionable Outfit last year. – Questionable Outfit tied the team record for triples in a season with 119. They tied the Fish Sticks, who also hit 19 in 2012. – Questionable Outfit broke the team record for runs scored with 198. The previous record was 191 by Questionable Outfit last year. – Questionable Outfit tied the team record for hits in a year with 263, hitting the exact same number of hits they had last year. Questionable Outfit in 2014 and 2015 and the Caucasians in 2012 have all hit 263 hits in a season to tie for the record. – Questionable Outfit broke the team record for home runs in a season with 111. The previous record was 87 by Questionable Outfit last year. – Questionable Outfit broke the team record for RBI in a season with 198. The previous record was 190 by Questionable Outfit last year. – Questionable Outfit broke the team record for total bases with 689. The previous record was 598 by Questionable Outfit last year. 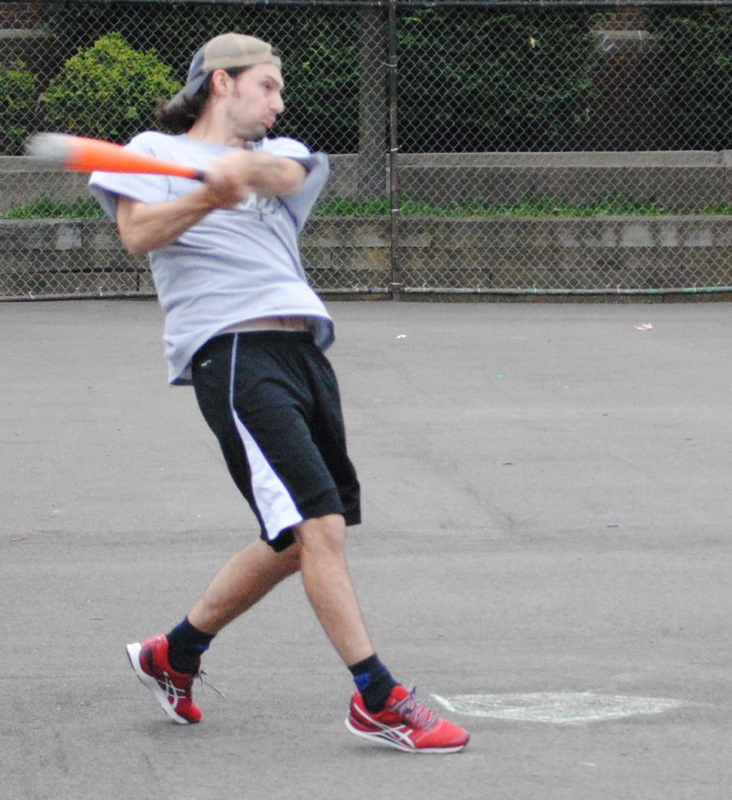 – Eastbound & Dahn and the Ham Slams broke the team record for batting strikeouts in a season with 14. The previous record was 13 by the Caucasians in 2012 and the Ham Slams last year. – Eastbound & Dahn and Questionable Outfit tied the record for intentional walks with one, tying Eastbound & Dahn, who also had one last year. – Questionable Outfit broke the team record for sacrifices with 6. The previous record was 3, set by 4 out of 5 dentists in 2011. – The Ham Slams tied the record for fewest sacrifices with zero. They tied several other teams which also had zero, and became the first team since 2013 to record zero sacrifices in an entire season. – Questionable Outfit broke the team record for total plate appearances with 488. The previous record was 485, set by the Fish Sticks in 2012. – Cookies & Cream tied the team record for saves with 3, which was previously set by the Fish Sticks in 2011. – The Ham Slams, Eastbound & Dahn, and Questionable Outfit tied the team record for fewest saves with zero. Many teams have recorded zero saves in a season. 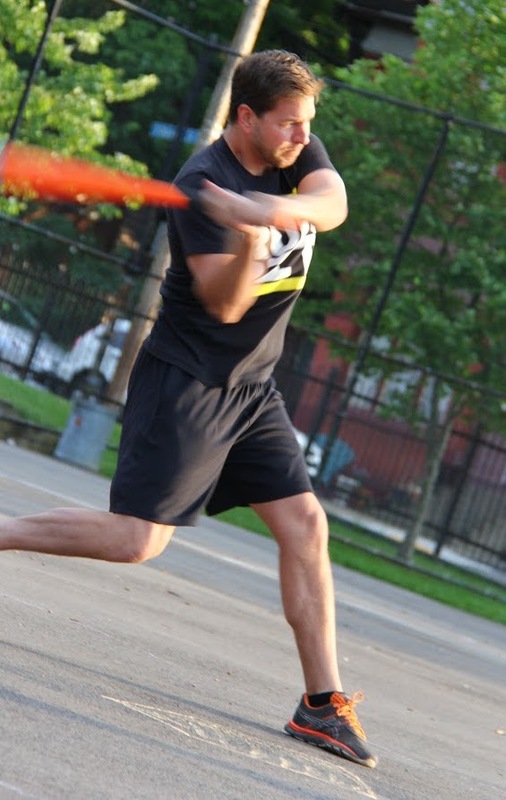 – The Ham Slams broke the team record for most earned runs in a season with 188. The previous record was Eastbound & Dahn, who allowed 187 last year. – The Ham Slams broke the record for most home runs allowed with 92. The previous record was set by the Fish Sticks, who allowed 80 in 2012. – Cookies & Cream and the Ham Slams tied the record for most intentional walks issued with one, tying the Ham Slams from 2014. – Questionable Outfit tied the team record for most complete games with 18 which was previously set by 4 out of 5 Dentists (2011), Eastbound & Dahn (2013), and Cookies & Cream/Questionable Outfit (2014). – Cookies & Cream set the record for fewest complete games with 10. The previous record was 13 by Cookies & Cream/Ham Slams/Eastbound & Dahn in 2013. A year after rewriting the record book with multiple broken records, Bob only broke a few, most notably, his own single-season home run record. Just a year after setting the single-season record for home runs with 30 (breaking Morrison’s previous record of 28), Bob shattered his own record with 34 blasts in 2015. He had 10 multi-homer games and tied the single-game record with 5 home runs in one game in June. Bob’s homers stole the headlines, but several other players tied or set new single-season records. See the full list below. – Mike (Questionable Outfit) tied the record of 8 triples, previously set by Joey (Fish Sticks) in 2012 and Anthony (Ham Slams) in 2014. – Bob (Questionable Outfit) broke his own previous record of 200 total bases (2014) with 203 this season. 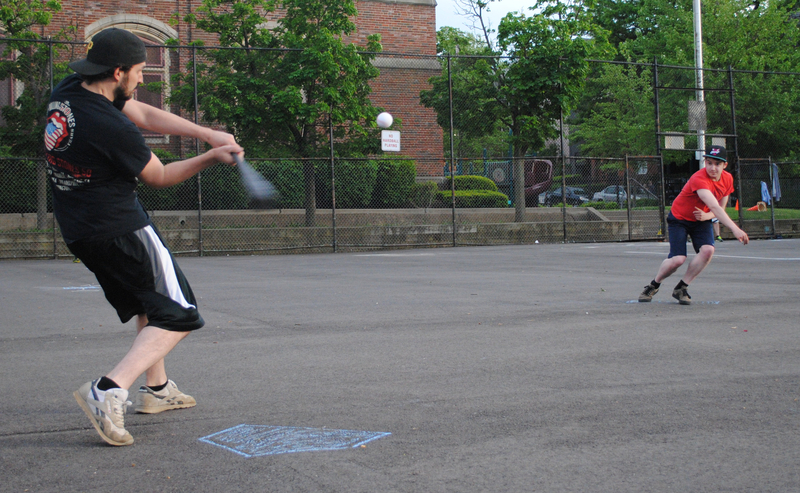 – Mike (Questionable Outfit) and Morrison (Eastbound & Dahn) tied the previous record of 1 intentional walk, set by Ivan (Eastbound & Dahn) in 2014. – Reilly (Questionable Outfit) tied the previous record of 2 sacrifices, set by Ron (4 out of 5 Dentists) in 2011 and Les (Caucasians) in 2012. – Blose (Cookies & Cream) tied his own previous record of 3 saves, which he also did in 2011 (with the Fish Sticks). – Charlie (Ham Slams) broke the record of 7 pitching strikeouts by striking out 8 batters this year. The previous record was held by Guthrie from 2011 (Caucasians), Alec in 2012 (Ham Slams), and Charlie in 2013 (Ham Slams).